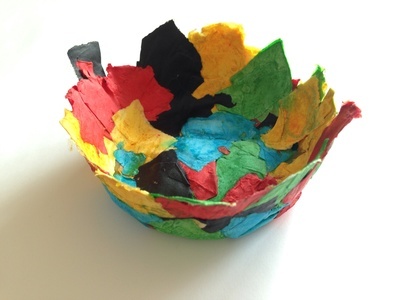 Create your own easy papier mache bowl from scraps of coloured paper. 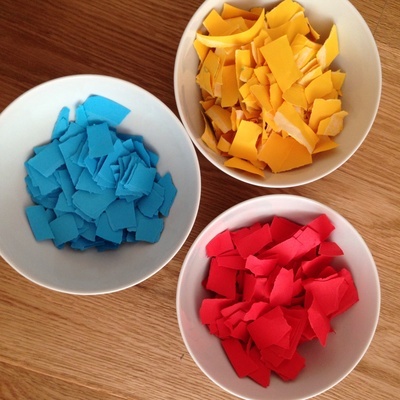 Tear the coloured paper into small pieces and soak in boiling water for several hours. 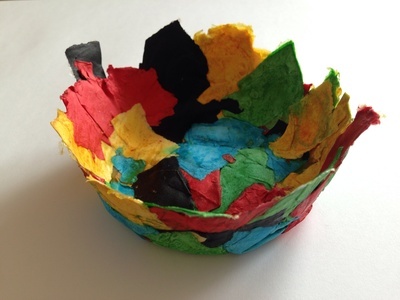 Drain the excess water off the coloured paper and squeeze the paper. 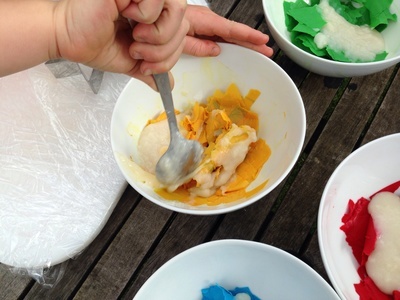 Stir several spoonfuls of paste into the damp coloured paper pieces and mix well. 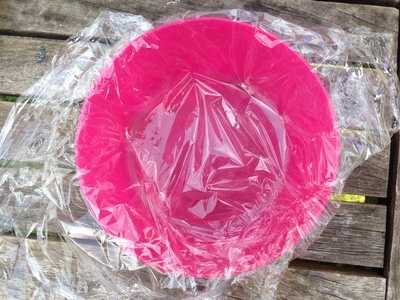 Cover the inside or outside of a bowl with cling wrap. 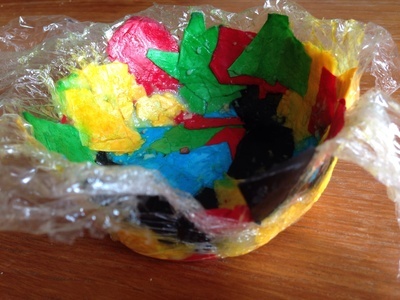 Start to press pieces of the coloured paper and paste mix onto the cling wrapped bowl, directly onto the cling wrap. Keep going to make a bowl shape. Allow to dry for at least a day. 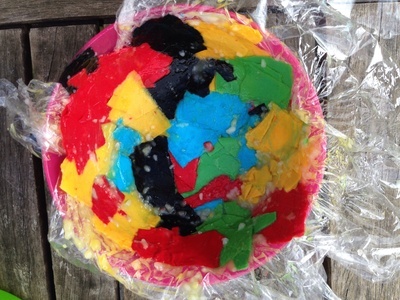 Once dry, lift the papier mache bowl off and then peel off the cling wrap. You could varnish your papier mâché bowl or leave as is.